Starling Chevrolet is located in DeLand, Daytona Beach and is a preferred Sanford Chevrolet dealership, with over 50 years of industry experience. If you are searching for that red hot, new or used car dealer in central Daytona Beach, then your DeLand Chevrolet auto dealer is the right choice. Sanford Chevrolet drivers, are you looking for a quality new or pre-owned vehicle? Our expert staff is waiting to assist you in any way possible. We take pride in our dealership, the products we sell and the vehicle you drive! 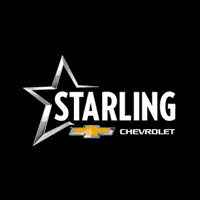 Starling Chevrolet of Deland near Sanford is a leading Chevrolet dealer providing the best selection of new vehicles and a vast inventory of used cars, SUVs, and crossovers. Let Starling Chevrolet of Deland be your one-stop service destination. Our highly qualified technicians are here to provide exceptional service in a timely manner. Our GM-certified staff provides only the best service – from extensive body repairs to basic engine checkups! Trust us for oil changes, brake checks and everything in between. You count on your vehicle to get you where you need to go, and you can count on Starling to get you back to cruising in no time flat. At Starling, you and your vehicle are our #1 priority. Serving Sandford Customers with New and Pre-Owned Chevrolet Vehicles in DeLand. Let us make your Starling shopping experience simple with our one-click shopping tools. Whether you are looking for finance, in the market for budget-friendly vehicles, or your own vehicle needs some TLC, we are the easy way to find solutions. We know that car buyers want a good selection of vehicles to choose from, which is why we carry an extensive inventory of new and pre-owned cars, trucks and SUVs. When you visit our DeLand and Chevy dealership, you will see models such as the Chevrolet Cruze and Equinox. We also carry the Traverse and Silverado. For our drivers, we have the CTS, SRX Crossover and the always popular Escalade. For that stellar new or used in Daytona Beach, don’t wait; come see us today and drive home in the car, truck or SUV of your dreams. We also serve Sanford Chevrolet customers from our location. We are a Chevrolet and dealer located at 2800 S Woodland Blvd in DeLand, FL, and are confident that you’ll find the perfect vehicle at the best price at our dealership. Whether you are looking for a car, truck, or SUV, we have many of the popular Chevrolet models in store. Our Central Daytona Beach and Chevy dealership encourages you to check out our inventory online and see if we have any cars that interest you. We want to be your auto dealer for all things. Sanford and Lake Mary Chevrolet customers can also stop by our dealership.